A well-run conference like the annual NMC (New Media Consortium) Summer Conference always sends me into the stratosphere. And the one that officially opens tomorrow in the Boston area with pre-conference workshops has already thrust me into the lovely lofty heights of the teaching-training-learning-doing endeavors I pursue as part of my own lifelong-learning efforts. “With up to 70% of future jobs under threat, education systems need to do more than provide digital skills. A new mindset is needed to help students bypass the ‘know-what game’ that is being mastered by artificial intelligence. Instead, the future belongs to those who can think, unthink, and rethink well enough to make their own jobs. 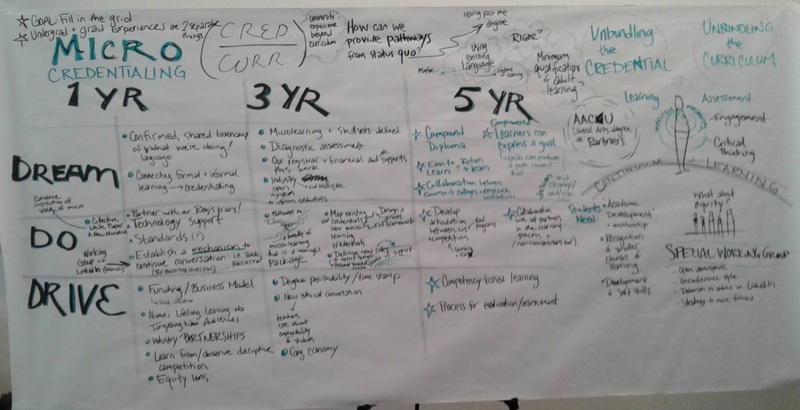 This workshop will benefit anyone interested in unpacking this proposition by canvasing the ‘Agile Thinking’ approach, the Future-u.org framework, and NMC Horizon Reports to build out discussion of where education is heading and how it can get there. One of the many elements that always intrigues me about the conversations I have with Jonathan and other NMC colleagues/co-conspirators as we are drawn together at NMC summer conferences is the way they zoom back and forth between views that seem to be at the 33,000-feet-above-ground level while never failing at some point to dive to ground zero with an eye toward responding in concrete ways to real challenges we face. The initial conversation in 2014 with Jonathan, Palm Beach State College Director of Innovation and Instructional Technology/NMC Ambassador Lisa Gustinelli, and others initiated a discussion that has literally extended with numerous training-teaching-learning-doing colleagues over a three-year period in a variety of onsite, online, and blended environments: trying to find a word or group of words that adequately describe what we all do. So, there we are: a word that for me captures so much of what I see in training-teaching-learning-doing environments that include onsite and online gatherings of colleagues in ATD (the Association for Talent Development). And similar gatherings of colleagues who are working in libraries—onsite and online environments that are an essential part of our lifelong learning landscape. And so many other gatherings of friends, colleagues, and acquaintances who share a passion for helping create a world that works better. Yes, the thoughts are flowing. The colleagues are arriving. 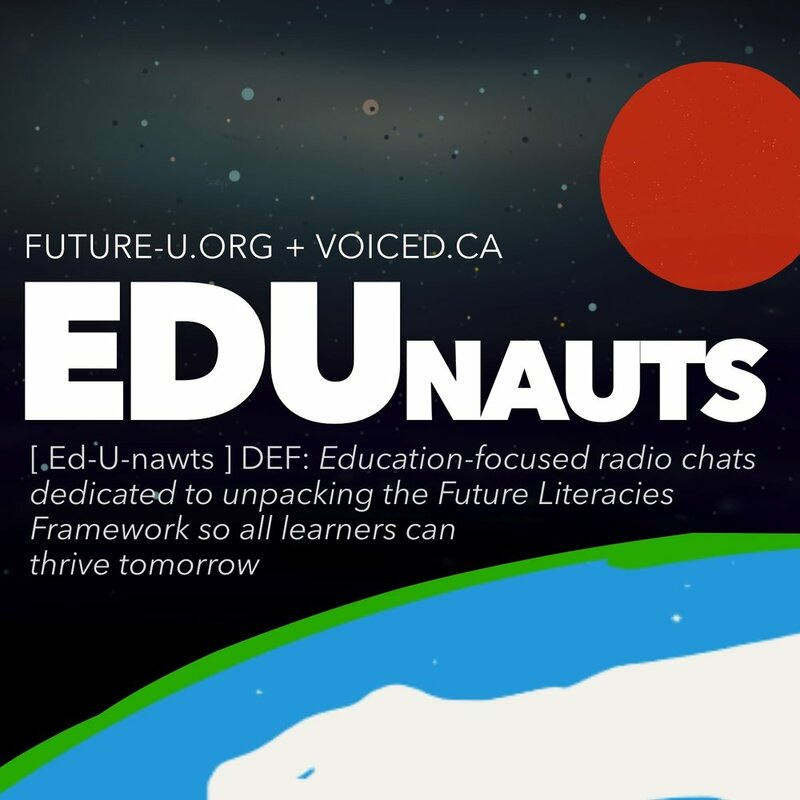 And the best is yet to come here at the NMC 2017 Summer Conference at this latest convocation of the edunauts. Designing or redesigning learning spaces is an increasingly common endeavor; knowing how to use those spaces effectively is an entirely different challenge that often doesn’t receive the attention it deserves. So when I had an opportunity (earlier this week at the LearniT! Technology Adoption Summit here in San Francisco) to observe and learn from someone who clearly revels in using every inch of a learning space to the benefit of the learners she serves, I faced the wonderful challenge of trying to absorb the learning content she was offering while also trying to pay close attention to how she accomplished what she was so effectively accomplishing. Walking into each of the four one-hour sessions led by LearniT! Vice President of Professional Development Jennifer Albrecht on the topic of exploring and developing an Agile approach to project management and many other workplace endeavors (including training-teaching-learning) was a trainer-teacher-learner’s dream. The sessions were highly interactive. Well organized. Learner-centric. And they were clearly designed to inspire participants to apply what was learned as quickly as possible after the sessions ended. Obviously grounded in LearniT!’s “8 Step Model for Learning,” the sessions (without ever feeling forced or formulaic) encouraged self discovery (brief self-assessments were a deftly-handled element of the learning experiences); provided concise explanations of ideas—and the value of the ideas—to be explored; included brief breakout sessions to foster a social-learning approach; included class discussions; offered moments for us to consider how what we were learning could quickly be applied in our worksites; had moments for individual learners to complete exercises to foster greater use of what was being learned; encouraged participants to engage in small groups (two or three people per group) to further learn by sharing their thoughts on specific elements of the course content); and left us thinking about what would and could come out of the time we spent together. The framework, as many of us recognize, is not particularly revolutionary; it actually provides the foundation for some of the best learning experiences we are encountering onsite, online, and in blended (onsite/online) learning environments. But what made Albrecht’s sessions dynamic from the moment we entered her/our learning spaces was the way she so effectively and with minimal effort transformed our perceptions of the space in subtle yet important ways. One fairly straightforward example was the manner in which she rapidly went back and forth from having a formal front of the room to having a room full of interactive centers. Her standard approach, whenever she wanted learners to engage in an exercise in groups of two or three people, was to give us eight seconds to form those groups. It always worked: within an eight-second period, the learning focus had shifted from a teacher-to-learner model to a learner-to-learner model where the front of the room was wherever a group of learners were interacting. The transformation was so effective and so complete that most learners didn’t seem to notice that she occasionally, briefly stepped outside of the room while the learning continued because learners had taken control of their own learning process. What was most striking to me, however, was a sudden, completely unexpected shift in my own perceptions of how the room-as-learning-space was functioning. It started with her use of the whiteboards that seem to cover entire left-to-right spaces in many of LearniT!’s classrooms. If Albrecht had simply done what so many of us do—used those spaces to write notes and draft simple illustrations of points she was making—we would have had good, productive learning sessions. If she had simply done what her other colleagues did—used the center part of that white board as a screen upon which she could project text-laden PowerPoint slides—we still would ultimately have had good, productive sessions. But by creating visually appealing slides with strong imagery projected onto and extending seamlessly across the central section of a wall-length white board (instead of onto a stand-alone screen), she subliminally created the same feeling of engagement and immersion we have when we’re watching a movie in a well-designed theater—a feeling also fostered through her use of the whiteboard as a screen for showing brief videos. Those videos and the high-quality, visually-appealing images from her slide deck made them feel as if they were part of the entire room; they were large enough to draw us into them completely as they flowed across a space with no visible boundaries differentiating it from other parts of that entire front wall. It was only at the point when she began writing on that extended whiteboard, using a space unoccupied by one of the beautiful images she was projecting, that I realized how much my perceptions of the room had changed without my having noticed the change: “Oh my God, she’s using a marker to write on that expensive screen,” I thought in horror until I quickly refocused my attention to take in the fact that the screen was the whiteboard and the whiteboard was the screen. In the same very important way, I also realized that Albrecht had made the entire space an integral part of that learning opportunity, and the learning process was supported and augmented by her use of that space. As is the case with many well-designed and well-facilitated learning experiences, hers were lively because there was never a moment when the learning started to feel forced or routine. She employed a variety of resources and techniques to convey information. Content within the superbly designed and graphically-stimulating PowerPoint slides, for example, were used in ways that connected them to the in-class use of simple workbooks: the content on the screen/whiteboard and the content within those workbooks seemed to melt into one cohesive resource. Her judicious use of the short videos to bring otherwise unavailable experts into the room to make key points provided a variety of viewpoints during what was essentially a one-facilitator session. Sprinkling citations to additional resources throughout her presentation and our discussions repeatedly and subliminally reminded us that our learning was a process as well as an event and that we could continue learning long after we left the room—something I took advantage of by using my tablet to place reserves on a few books through my local public library while I was still participating in the session. None of this is difficult to replicate. All of it requires a commitment to learner-centric creative approaches to learning and to learners—probably one of the most rewarding lessons I could have once again encountered by attending the Technology Adoption Summit and learning from a master learning facilitator. N.B. : This is the second of two sets of reflections inspired by the LearniT! Technology Adoption Summit; the first set remains accessible elsewhere on this blog.